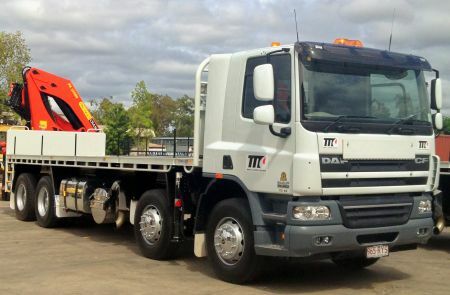 Our two new DAF CF75 8×4 rigid twelve tonne crane trucks have arrived and have officially clocked on! Both fitted with Palfinger 32080 cranes these vehicles have the ability to reach up to 8 metres and lift over 5 tonne. The rear mounted cranes allow for difficult access sites and well equipped for those large lifts!